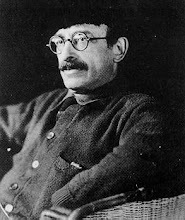 Alexander Berkman Social Club: Another august event! Last month’s event (has it been that long already?) was another success, thanks to all the people who came out. On the billing were Isaac Ontiveros of Critical Resistance, who gave an inspiring talk on the meaning of our opposition to what CR calls the “prison-industrial complex,” and Barry Pateman, who spoke on the history of the Anarchist Black Cross in Britain & Europe. We also had two surprise guests, Rodolfo Montes de Oca, from the Venezuelan Anarchist Black Cross, and Marshall Trammel. And thanks to the generosity of Bound Together Books, we were able to raffle off a gift certificate to that fine establishment. Finally, hats off to the Hippolyte Havel House Band, who provided great music throughout! Unfortunately, we do not yet have audio from this event. When we have the audio, we will make it available. You can see pictures of the event at the AK Press blog. And while you are there, be sure to browse around; the AK blog is livelier than our little backwater here, full of news & views for the Bay Area & beyond.